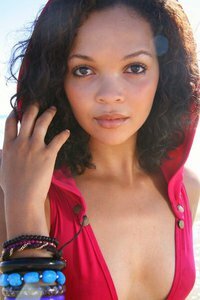 Odile Madeline Gertze (born 1988) is a Namibian model, as well as a model booker from Windhoek. She was crowned Miss Namibia 2010 on July 31, 2010. Gertze is expected to represent her country in Miss World 2010 and Miss Universe 2011. She is also currently working as a freelance journalist for The Namibian for their fashion section in The Weekender. She graduated from Elizabeth Galloway Fashion Academy in 2009, in South Africa, and while she was there, she took the opportunity to gain experience while working as a model during her studies. She has previously worked on model work, such as Photography for Print Media, Model portfolio, Ramp/fashion shows, Meet & greet, Promotions and Fashion Shows.